The 9th Lake Cup Regatta has concluded successfully. The sailing event provides chances for citizens to watch this sport on water and also demonstrated the spiritual appearance of Suzhou. The successful conclusion of the 9th Lake Cup Regatta has made people see the leading role of the inland city of Suzhou in the promotion and construction of water sports. 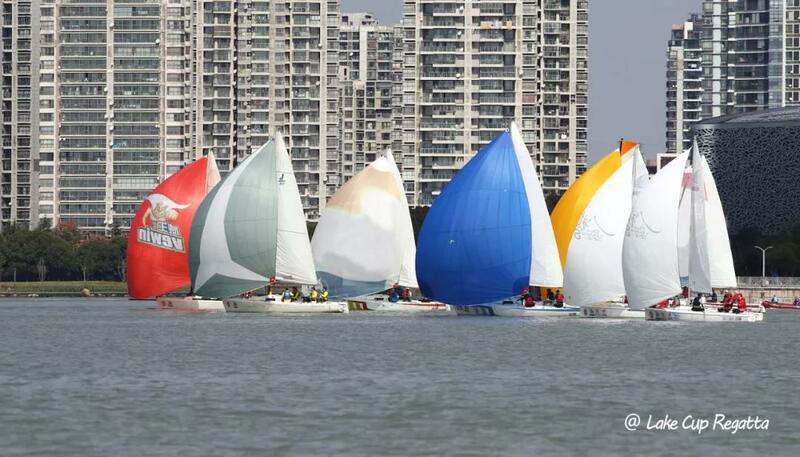 According to statistics, there are 28 sailing clubs in Jiangsu Province, 17 of which are located in Suzhou. Before the foundation of the Lake Cup Regatta, those numbers were almost zero. “The positive role played by the Lake Cup Regatta cannot be denied. Among the lake sports competitions around the whole country, we are also one of the earliest.” As the founder of the Lake Cup Regatta, Bill witnessed the development and changes of the 9th Lake Cup Regatta. In 2007, Bill began to engage in sailing, and since then, he has been completely fallen in love with it. In two years, he began to participate into large and small sailing events. Gradually he discovered that many sailing competitions seem a sport played by people who share the same interest. Bill believes that when an industry wants to grow, it needs to be introduced to everyone, so that more people can see it and get involved into it. In addition to the competition, there are actually a lot of space that can be explored and developed. At that time, he was running a planning company. When he thought about it, he preferred to start the ideal sailing event by himself rather than waiting for others to improve the competition atmosphere of the sailing. In the condition that domestic sailing events are still in a general situation where the return on investment is not in proportionality, the Lake Cup Regatta has achieved balance in the eighth session, and boarded the big screen of New York Times Square for two times. Bill believes that business operation is a key element for sound development of the sailing event. “It’s not easy to run a sailing event on lake because of the limitation of environmental protection or geographical location. Generally, lake distract has less popularity, and it is difficult to maintain vitality. However, there is no such worry in Jinji Lake because it has its own attraction.” With the bustling business district, the beautiful scenery of the 5A Lake District of the country, the Lake Cup Regatta depend on the natural advantages to carry out the Parking Park International Lohas Festival, which combines food, handcraft, dance, music and other elements at the Moon Harbor. The cumulative crowd flow is truly translated into an important attraction that can actively promote the popularity of sailing events among the public. The Lake Cup Regatta was also confronted with obstacles at the beginning, and has encountered many real difficulties and obstacles. “The biggest problem is that ordinary people and government leaders do not understand the sports on water. It is considered that the sailing competition is very dangerous. Actually it’s a misunderstanding. In fact, the anti-overturn design of the keel and the safety measures such as life jackets make the sailing boat a very safe sport. Bill knows that the main reason for such condition is that the sailing culture promotion is not enough. 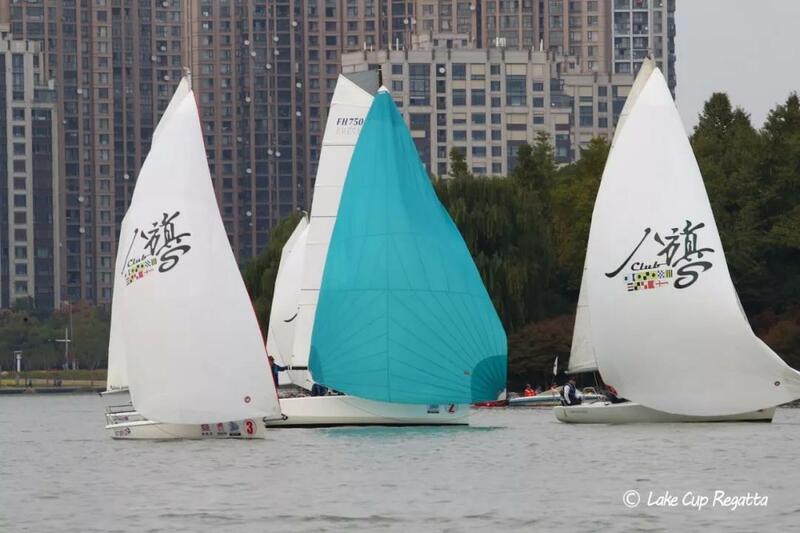 In addition to the competition, BaQi Sailing Club is unique for membership system on the Jinji Lake, the official co-organizer of annual “Lake Cup Regatta”, and the institution of Deputy Secretary General of Jiangsu Yachting Association. 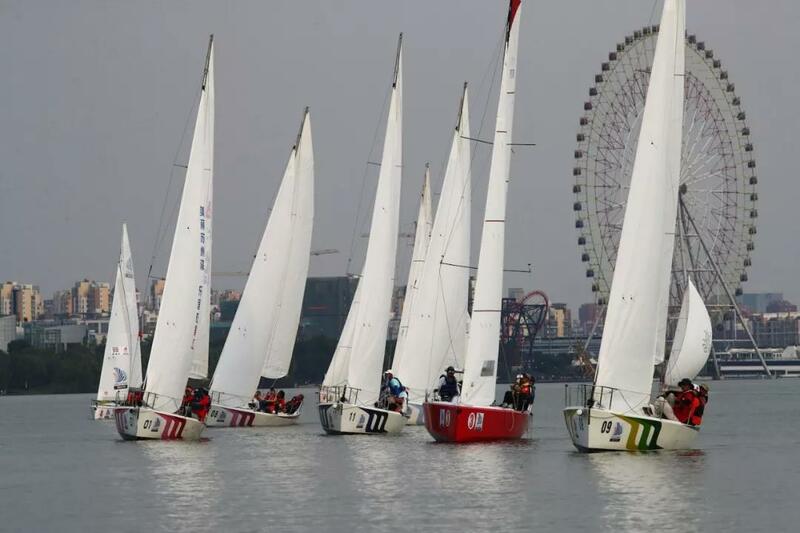 BaQi is the only sailing club in Jinji Lake, and is the officially designated co-organizer of the “Lake Cup Regatta”. BaQi originated from semaphores that are used for sailing. Each colored flag stands for a letter or a number, which symbolizes the nautical culture and her spirit. Our BaQi Sailing Club has been devoted to transmitting the nautical culture to everyone who has the ocean in mind and is keen on the nature and the earth. Enjoying unique geographical conditions, our club possesses professional instructors. It is committed to promoting the popularization and transmission of the nautical culture into inland and improving the fashionable life concept of getting close to water. Looking back at the four-day Genway Group· Lake Cup Regatta 2018 Jinji Lake regatta, in addition to thanking all parties for their support to make the game a success, Bill also revealed some small regrets. Due to the consideration of the ecological protection of the lake, operators have closed the tickets for the masses to watch the competition this year, which has restricted the demand of the general public for close-up viewing. Secondly, the registration time period this year was too short to give some foreign players enough time to deal with visa. “The proportion of professional sailors is also a part that makes me feel a little regretful. Although there are basically professional athletes in each group, it is still not enough.”Summing up the work of the year, Bill hopes that the Lake Cup Regatta will be able to make progress in hardship, communicate with relevant departments in advance, provide more opportunities for international sailors to participate sailing competition in China, improve the experience of the competition, and encourage more professional sailors to join in. At present, the Lake Cup Regatta is the first key project of the 13th Five-Year Plan of Suzhou Industrial Park. In the face of the upcoming tenth anniversary, Bill has a further plan for the next year’s arrangement. “we hope that with the increase of the scale and influence of the event, the event can be continuously included in the 14th Five-Year Plan of Suzhou City, and even in the next five-year plan of Jiangsu Province. In addition to maintaining the professionalism of the event, we also have the mission to develop cultural tourism.” Secondly, Bill believes that the future of the Lake Cup Regatta can be more than just sailing. It should be expanded. For example, this year’s paramotor project and in the future, it is also possible to increase windsurfing and other sports on water. Developing the Lake Cup Regatta into a city-level event on water so that everyone involved can be improved through the competition. Creating high-level competitive events with certain technical thresholds is not what Bill expects. His goal is to make the Lake Cup Regattas a unique sailing event, make the inland water sports connecting with the developed coastal cities and even the international level, and invigorate Suzhou by sailing. He hopes to establish a communication platform for sailors and makes much progress in next session event.